Over a dozen companies are urging the US Supreme Court to rule that Fourth Amendment protections apply to the cellphone location data. 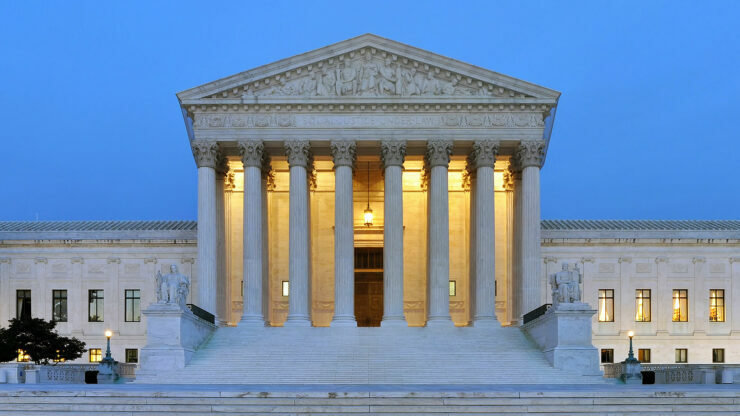 Apple, Google, Microsoft, Facebook, Verizon, and other technology and telecom companies have filed an amicus brief with the Supreme Court earlier this week, arguing that the phone data should not be accessed by law enforcement without a warrant or court order. The court recently agreed to hear the “Carpenter vs United States” case, which centers on whether law enforcement can obtain phone location data without a warrant, if a third party is holding that information. Tech companies and the industry watchers believe that the decision in the case will be monumental in how privacy is considered by law enforcement in the internet age. “That users rely on technology companies to process their data for limited purposes does not mean that they expect their intimate data to be monitored by the government without a warrant,” the 44-page brief said. The Carpenter vs United States case goes back to 2011 when Timothy Carpenter was convicted of a series of robberies in Ohio and Michigan with the help of cell phone location data. Law enforcement used the data provided by MetroPCS and Sprint, pulling 12,898 different locations for Carpenter during the time of the robberies. But, his conviction was based on his phone location data. He lost an appeal at the Sixth Circuit Court of Appeals last April, with judges ruling that cell phone location data didn’t merit Fourth Amendment protections against unreasonable searches. Essentially, they said that the officers didn’t need to get a warrant. The court had argued that it doesn’t violate a person’s 4th Amendment right to protection against unwarranted searches and seizures, since the location data is voluntarily provided to a third party. The US law enforcement’s surveillance practices have come under fire since the Obama era with several internal leaks revealing how innocents too find themselves under their radar. With no warrant restricting what they can do to whom, the court’s decision will set an important precedent on how law enforcement can use technology to gather evidence in cases. While the companies aren’t arguing if the law enforcement should not be able to get location data, they are only urging the court to make getting a warrant a requirement. They suggest that obtaining this data without a warrant should be considered an illegal search. “Tech firms are sending a very clear message that the law needs to catch up with the technology that is now an integral part of our everyday lives,” ACLU, who is representing Carpenter, said in a statement.